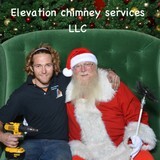 My name is James Scott and I am the owner of elevation Chimney services, we originally started as one of the only chimney sweeps in Tampa Florida but moved locations to Asheville North Carolina in 2017. We are a licensed and insured chimney inspection and sweep company. We are known for our affordable prices and fast/cleaning service. We differ from other companies by only charging our customers if the Chimney needs to be cleaned, we do not charge for inspections. Although our company is small, our workmanship is largely gratifying. We aim to provide our customers with quality cleaning and minor repair for chimneys and fireplaces, along with any advice they need to enhance the quality of their chimney. We have obtained years of experience with chimney and fireplace repair and we strive to continue to provide exceptional chimney services for years to come. We can also supply you with quality chimney accessories to improve the functionality of your fireplace. From chimney caps to fireplace inserts, we give you the means to cut down on heating costs with a cleaner, better hearth. If you are seeing an honest and knowledgeable chimney sweep for a friendly, fair price, then look no further than All About Chimneys, LLC. Customer satisfaction is our top priority and we would love nothing more than to cater to your chimney sweep needs. Contact us today! 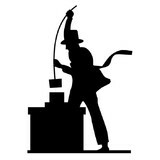 Why do I need to hire a chimney cleaner in Mars Hill, NC? Fireplace cleaning always seems like a messy task, and that’s because it is. Creosote, better known as soot, forms when wood is not properly burned — unburned tar vapors stick in the flue, or walls, and are tricky to clean but can lead to chimney fires if not taken care of. In fact, about a quarter of all residential fires that occur in the United States are caused by creosote buildup. That fact alone should motivate you hire a Mars Hill chimney sweep as soon as possible! Other common problems that a fireplace and chimney inspection should catch are damaged or decaying mortar and joints, leaks that let in air or water, and even animal extraction. Chimney repair is an important part of keeping your entire Mars Hill home safe and sound, so keep yours in tiptop shape to reap its benefits safely. The Chimney Safety Institute of America actually certifies chimney sweeps, so you know if they are CSIA certified that they will do a good (and safe) job. It’s recommended that you get a full chimney inspection once a year at least, so don’t hesitate to call a chimney service in Mars Hill, NC at any point during the year if you suspect something is not quite right. Find Mars Hill chimney cleaners on Houzz. Narrow your search in the Professionals section of the website to local chimney cleaning services in Mars Hill, NC and read reviews and ratings to find one that fits your needs.